When I was five, I’d already determined my destiny. I was going to be a ballerina. Not just any ballerina though. The “prima ballerina”, as in the best, the one everyone talked about because she was so elegant, graceful and talented. I knew everything about ballet from reading books and watching movies. I talked my grandma into buying me a pink tutu and dance slippers. My mom signed me up for ballet class, but to my chagrin, they wouldn’t let me wear my tutu so my undies peered out the bottom of my navy blue leotard. I was not discouraged though. The tutu covered the undies nicely, and that was the whole point of being a dancer anyway. A flouncy, pink tutu and miraculous, swirling movements, which I regularly performed for my family in the living room, and whenever I could get an audience with my dad’s video camera. When I arrived in class, it turned out most of the girls in my ballet class were merely beginners, unlike me. Our teacher wanted to teach us the basics of ballet, the five positions for our feet, and how to stand like a proper dancer. This sort of slow motion nonsense was for the birds. I wanted to do all the French verbs that demonstrated my true level of skill: the plié, the pirouette and the grand jeté. Duh. 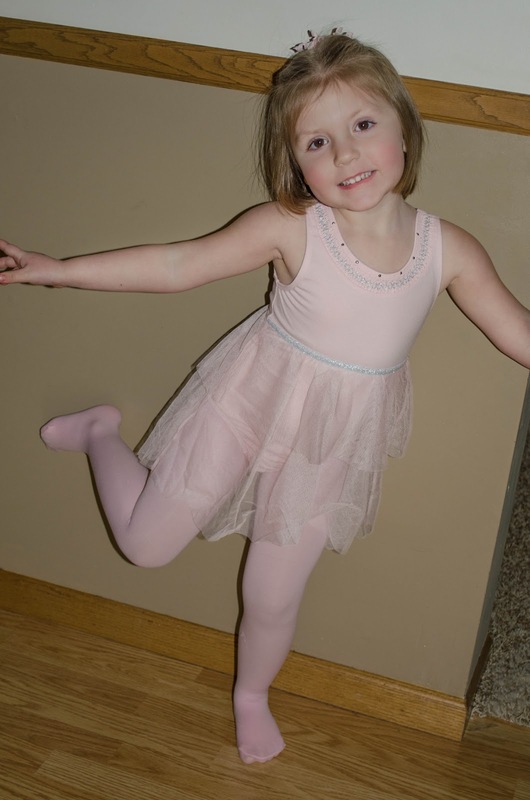 By the time I was seven, I quit ballet class. I’d already learned everything I could from that lady who apparently thought she was teaching a novice. I could wear my tutu and leotard and dance real ballet at home so why waste my time? Unfortunately, I regularly adopted this approach to learning new sports or tackling new projects throughout my life. I discovered the end result I envisioned would take far more time than I anticipated, and I didn’t easily make peace with my apparent lack of competence. It was easier to pretend I was gifted in the privacy of my own home than labor for hours under the supervision of an expert who could help me achieve my goal. I quit for the same reasons most of us quit. 1. I learned of the true work involved in my dream, and I didn’t want to do it. Most of us discover a dream or goal we thought we wanted to achieve will require much more of us than we envisioned. Just the thought of the hours we will have to spend wearies even the most devoted among us. If we haven’t truly bought into the dream, the time we will need to commit to it will deter us from accomplishing it. 2. I felt under-recognized for the talented I already displayed. I didn’t understand why my dance teacher didn’t recognize my obvious gifts and move me to the advanced dance class where they practiced all the real ballet. (The teacher did tell my mom I had talent, but I figured that meant automatic dance class upgrade – it didn’t.) I didn’t realize that a foundation of knowledge is required in any goal or habit. You have to do the hard work to learn basics first, and then you build the beautiful things on top of it. 3. The first stage to learning is “conscious incompetence“, and I hate to feel dumb. I have quit more things than I want to admit due to simply feeling incompetent. But this stage is a necessary and inevitable stage of learning. Did you always know how to use the toilet, ride a bike or tie your shoes? Of course not. When we were children, we patiently learned these skills, yet as adults, we shy away from the fact that learning is lifelong and the stage of feeling a little stupid is simply a landmark on the way to expertise. You can embrace the incompetence when you know it’s temporary. Learning will rarely be fun unless we approach it with humility and patience with ourselves, along with an imaginative and curious mind. Once we choose these attributes, we are unstoppable. Have you been a quitter before? Did you quit for these reasons or other ones entirely? Share in the comments below. I quit track in high school. At first, I had to take a break cause of an injury. But, then I got a chip on my shoulder and basically, it came down to me not wanting to do the hard work of getting myself back into shape. I’ve always regretted my attitude toward it. I think that’s a normal reaction when we feel something is taken from us. But it’s hard to look back and know life could’ve been different had you done the work. I can say that for many things, sadly.